In 2008, the Wedgwood Museum was awarded a substantial grant from Heritage Lottery Fund to build a new museum where to host their collection dating from the late eighteen century to today. As a new museum, everything was needed, including new brand, digital strategy, content and collection management, a website and over thirty in-gallery digital interactives. 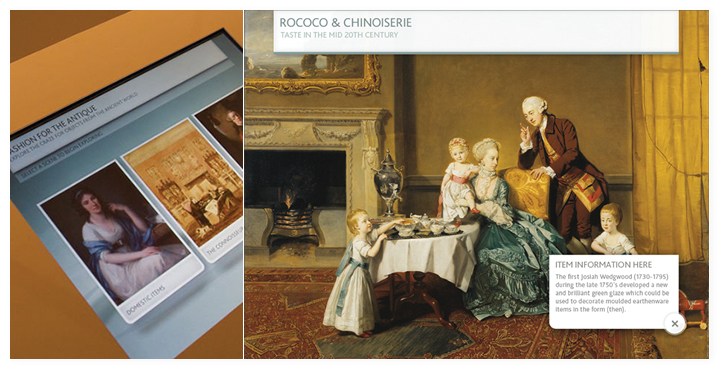 Keepthinking was awarded the contract and over twelve months realised the entire Digital Wedgwood. The brief included over thirty between kiosks, digital interactives, movies 3D animations and sound installations, to be installed on site and often repeated on the website. 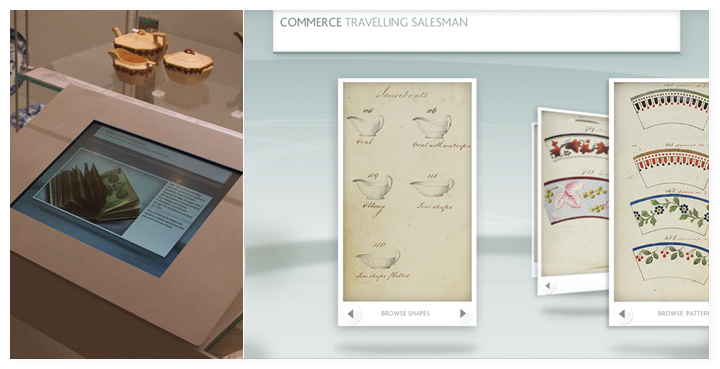 One of the kiosks shows the entire Travelling salesman handbook, which is a catalogue of crockery and decorations used in the nineteenth century. Only one specimen still exists and it is too delicate to be put on display. 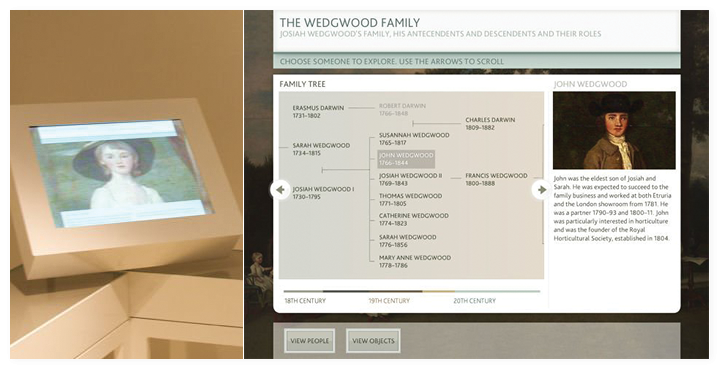 The family tree interactive puts the Wedgwood Family in their historical and social context. 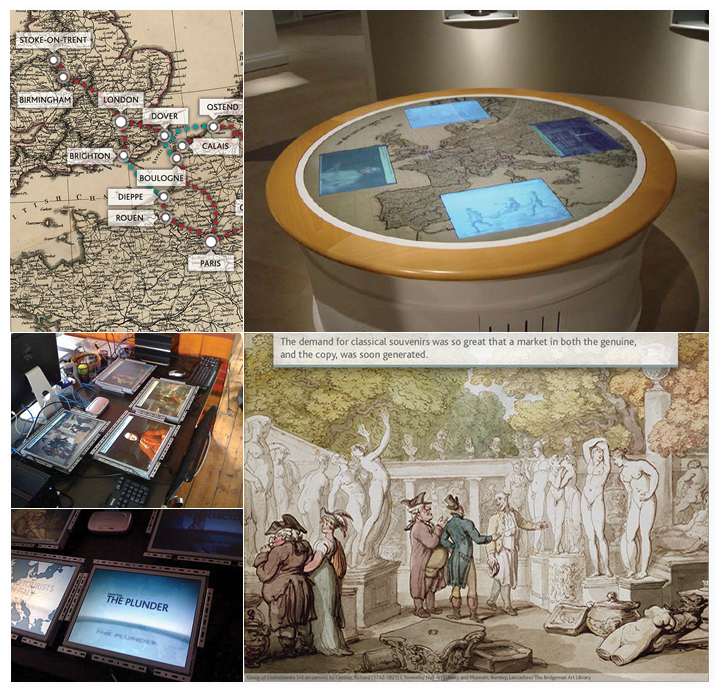 While some of the kiosks and interactives are unique, other use a templated approach. They are all managed using the Qi content management system. One crucial aspect was setting the tone for a digital engagement strategy. 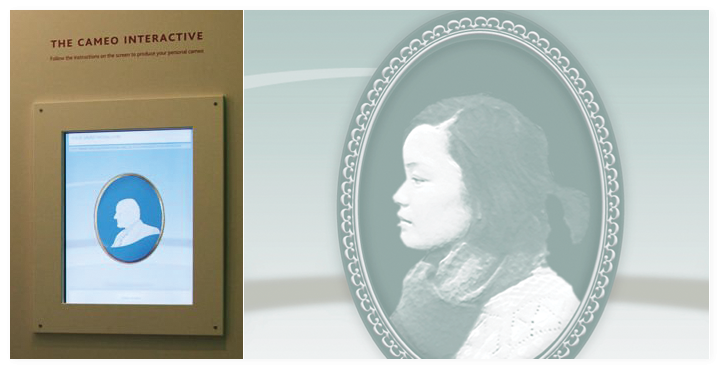 The Virtual portrait medallion invites museum visitors to have a cameo-like portrait take in situ, which they will find online the following day, driving qualified traffic to the website. 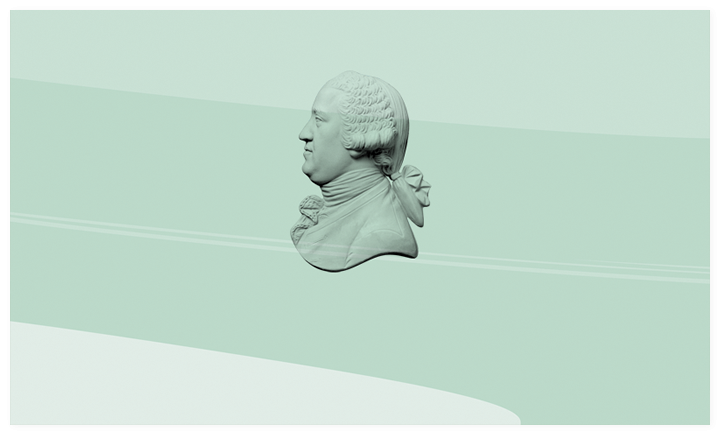 The history of the factory is as fascinating as the history of the objects that were produced by Wedgwood. 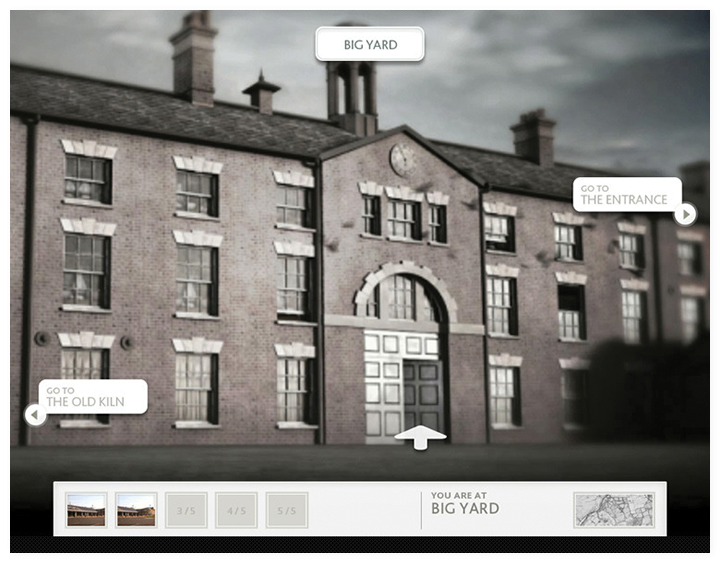 We created a 3D interface to explore the 19th century site and look at original images of people working and socialising. A scaled down version is available on the website.